There is a growing body of research demonstrating the alarmingly high rates of overall health problems and premature death among individuals with serious mental illnesses. A recent comprehensive review confirmed that people with mental health diagnoses die up to 20 years prior to other individuals with no mental health diagnosis. Comorbid substance abuse exacerbates the effect. Mental Health America (MHA) calls for dedication of significant state and federal resources to reduce the alarmingly high rates of overall health problems (morbidity) and premature death (mortality) among people with serious mental illnesses, – which must include an array of strategies for addressing health-related social needs. With the addition of effective surveillance and treatment services and a renewed commitment to psycho-social supports through total accountable care, overall societal costs may actually be reduced, both in the near and long-term. This position statement relies on the updated Background information detailed in Position Statement 13, Integration of Behavioral and General Healthcare, http://www.mentalhealthamerica.net/positions/integrated-care , which shows the infusion of resources that will be needed to realize parity of treatment for behavioral healthcare. 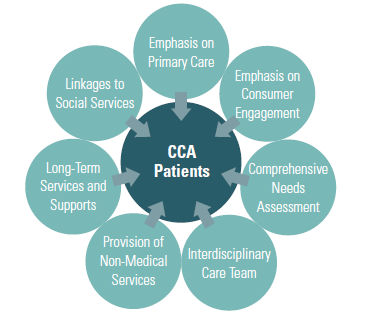 We now know that integrated primary behavioral and general healthcare can and should look like. The Twenty-first Century Cures Act, passed in 2016, showed that the Congress had come to understand the need to significantly expand behavioral healthcare. It follows that medical practice, health policy, public dialogue, and legislative action must continue to shift to reflect the need for increased behavioral health treatment resources. To prioritize the public health problem of morbidity and mortality among people with behavioral health conditions. To track and monitor morbidity and mortality in populations served by public mental health and substance use treatment systems. To implement evolving standards of care (i.e. evidence-based and evidence-informed practices) for prevention, screening, assessment, and treatment. To improve access and integration with general medical care services. As urged in Position Statement 13, Integration of Behavioral and General Healthcare, every person with a mental illness or a substance use disorder should have either a Primary Healthcare Home or a Behavioral Healthcare Home, a place where primary healthcare services are coordinated and integrated with specialty services, especially psychiatric and behavioral health supports. However, total wellness for individuals with mental health and substance use conditions goes beyond the integration of primary care and behavioral health, including interventions to address health-related social needs in addition to traditional health care. While we know that every individual can play a daily role in maintaining his or her own wellness, social supports are widely appreciated to be crucial to everyone’s health care. For example, in 2016, MHA revealed that in its “It’s My Life Program” – a self-directed care program for people with serious mental illnesses that focuses on social supports and engagement – there was a reduction in hospitalizations among all pilot group participants from fifteen during the two years prior to enlistment in the program to just one during the nineteen months after enlistment. Health equity and social needs have emerged as major themes of reform efforts. The major remaining question is how to integrate these ideas into existing health care and insurance systems. This will cost money and require flexibility and innovation. MHA and other advocates have now persuaded most policy makers that, for individual with serious mental illnesses, social supports are as crucial to health as clinical therapies and that health care systems should strive for everyone to achieve recovery and not consign anyone to long-term institutional care. This is also being appreciated broadly across all health care sectors, as new models evolve to meet health-related social needs. Two examples illustrate the emerging models: Social Accountable Care Organizations (ACOs) and Accountable Communities for Health Models (ACHMs). Growing evidence indicates that addressing social needs can help reverse their damaging health effects, but screening for social needs is not yet standard clinical practice. The Centers for Medicare & Medicaid Services (CMS) Accountable Health Communities Model, tested by the Center for Medicare and Medicaid Innovation, addresses this critical gap between clinical care and community services in the current health care delivery system by testing whether systematically identifying and addressing the health-related social needs of Medicare and Medicaid beneficiaries impacts their total health care costs and improves health. Thus, CMS has developed a 10-item screening tool to identify social needs in 5 different domains that can be addressed through community services (housing instability, food insecurity, transportation difficulties, utility assistance needs, and interpersonal safety). Emerging health care payment and delivery models such as Social ACOs and AHCMs offer promising new ways to meet the health-related social needs of individuals with mental health and substance use conditions through comprehensive community-based strategies. Leverage federal and state investments to build multi-payer partnerships that can fund “integrator” or “backbone” organizations that allow Accountable Communities for Health Models to function. Engage at the national and state levels in developing the National Health Information Infrastructure (NHII) to assure that electronic health records and personal health record templates include the data elements needed to manage and coordinate both general medical health and behavioral health care. Assure at the state and federal levels that the impacts of healthcare reform changes are monitored and corrected as needed to promote integration of care. Share information widely about general medical health risks in persons with severe mental illness to encourage awareness and advocacy. Educate the healthcare community. Encourage persons served and family members to advocate for wellness approaches as part of recovery, especially through Healthcare Homes and Total Accountable Care Organizations. Promote the recommendations in the NASMHPD Technical Reports on polypharmacy, smoking and diet and implement policies and programs addressing these risk factors. Expand recovery programs to add tools to address wellness goals. Apply a public health approach and population-based interventions. Work with recovery- oriented clubhouses and other programs to develop a wellness culture among people in recovery. Improve access to general medical health care and the development of Primary Healthcare and Behavioral Healthcare Homes and Total Accountable Care Organizations. Fund, require, regulate, and lead the public behavioral healthcare system to ensure prevention, screening, and treatment of general health care issues. This policy was approved by the Mental Health America Board of Directors on September 9, , 2017. It is reviewed as required by the Public Policy Committee.